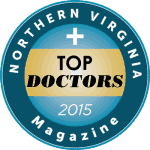 Dr. Seth Rubenstein began his private practice in Reston, Virginia in 1987. He is on the active staff of Reston Hospital and INOVA Fair Oaks Hospital. He has served as podiatry section chief at both hospitals. 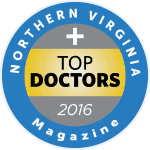 Dr. Rubenstein is Board Certified by the American Board of Foot and Ankle Surgery. In addition to the list of services offered, Dr. Rubenstein also performs Extracorporeal Pulse Activated Treatment (EPAT), which is a non-invasive treatment for chronic, painful musculoskeletal conditions of the lower extremities. Dr. Rubenstein is active in his profession and has received recognition by his medical colleagues at the state and national level. He currently serves as Vice President of the American Podiatric Medical Association. 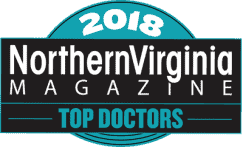 He has also received local recognition by Washingtonian Magazine as one of Washington, DC’s top sports medicine providers (2010, 2018), top podiatrists (2012) and by Northern Virginia Magazine as one of the area’s Top Doctors (2013 – 2018). Dr. Rubenstein lives in Reston, VA with his wife. He has 2 wonderful children. For Dr. Rubenstein’s complete curriculum vitae, click here. Dr. Rubenstein received his Bachelor of Arts in Biology from the University of Rochester, Rochester, NY in 1979. He received a Bachelor of Science in Medical Sciences and Doctorate of Podiatric Medicine in 1983 from the California College of Podiatric Medicine, San Francisco, CA. In 1985, Dr. Rubenstein completed a PSR-24 surgical residency at Peninsula General Hospital in Far Rockaway, New York. 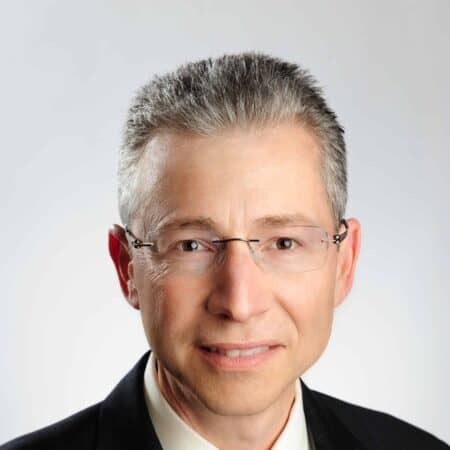 Dr. Rubenstein is Board Certified by the American Board of Foot and Ankle Surgery and is a Fellow of the American Society of Podiatric Surgery, the American Academy of Podiatric Sports Medicine and the American Society of Podiatric Dermatology. 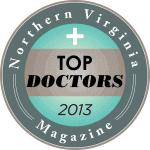 as indicated, i am very pleased with Dr. Seth Rubenstein and staff. i am seeing progress in dealing with my problem and expect it/progress to continue. First class. The best podiatrist I have [...]encountered. Dr. Rubinstein is wonderful. Had a very pleasant experience and my surgery went great. Would send family and friends to him without hesitation. Quick, efficient, professional! All positive. Doctor Rubenstein was very thorough. I need surgery, but he relieved a lot of pain I had in each foot. Dr. Seth [Rubenstein] is outstanding. He listens carefully, is thoughtful and deep in his analysis, and has a wonderful, pleasant manner. He doesn't just treat the complaint but looks for the root cause. I appreciate that he works with my other doctors. Excellent doctor. Dr. Rubenstein was kind and attentive and explained everything surrounding my foot and the reason for my visit! Dr. [Rubenstein] was very knowledgeable about my problem. My former podiatrist could not identify it. 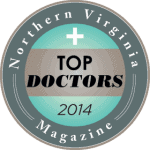 Dr. Rubenstein is friendly, professional, very competent, and thorough! Highly recommend him. Dr. Rubenstein is just excellent. Explains the problem and the candidate solutions. To date he has consistently been able to reduce or remove the pain in question. I am happy that I chose Dr Rubenstein to be my doctor. Dr. Rubenstein was wonderful with my five year old daughter. Great bedside manner and helped make her comfortable. We came in to get a wart removed from her foot. I was hoping it would be frozen off but it was too deep and had to be removed, which required a shot in the foot and a longer procedure. Dr. Rubenstein was great and so was the nurse - I would highly recommend him! Dr. Rubinstein is great!! He was very patient, took his time and asked lots of questions. NEVER felt rushed at all!! If you’re looking for a great foot doctor, he’s your guy. Wouldn’t hesitate to recommend him to family and friends. Also, the office staff, nurses were very nice. Overall, had a great experience!! I really liked meeting Dr. Rubenstein. I've always hated the problems i have with my feet, and he was great. Told me what was going on, told me the plan, and gave me do's and don't's until the next time I see him. Appreciate the quick response to address my issue. Was able to quickly schedule a corrective procedure and am very pleased with the results. I appreciate all the services I received from the office. The doctor made me comfortable in my surgery. He called to tell me my lab result. He is concerned about patients. And the staff members are very nice and professional.